We provide superior customer – focused service, sales engineering, and leading edge technology solutions for our customers. Servicing of most brands of industrial scales and weighing equipment – from high precision laboratory balances to heavy capacity truck and railroad scales. State of the art heavy duty test unit (truck) featuring two mechanized test weights and 22,000 lbs. of NIST traceable weights – certified in Wisconsin, Minnesota, and Iowa. Largest parts inventory in the Midwest with over $100,000 of parts on hand electronically controlled via customized inventory system – minimizing any possible downtime to our customers and maximizing efficiency within our operations. Fully equipped staff providing factory trained service technicians, sales engineers, and system software and PLC development capabilities for any custom application requirements. Large fleet of rental scales for inventory counting, floor scales, truck scales, for all your weighing needs. 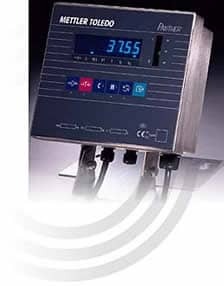 Rent scales and other weighing equipment by the day, week or month.